UK native turned Shanghai resident Conrank has been making waves across the global electronic music scene for his one-of-a-kind take on experimental, future-facing, 808-oriented bass music. 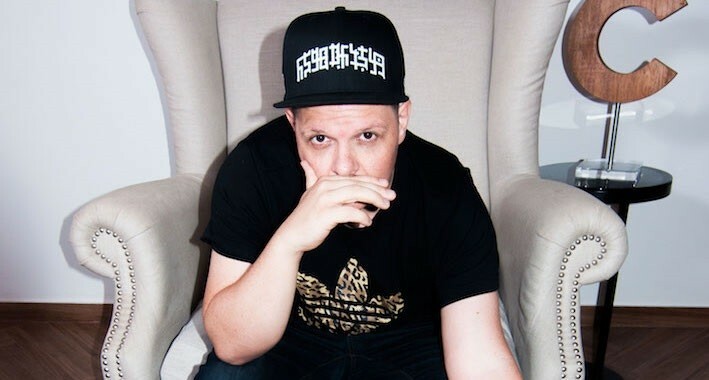 During his extensive production career, Conrank has worked with a wide range of esteemed artists such as DJ Shadow and Chinese superstar Sa DingDing, who he collaborated with on a project for Universal Music Asia. Spreading his music across China, France, North America, the UK, and everywhere else in between, Conrank has had the pleasure of releasing on labels like Nest HQ, Wakaan, Saturate, XLR8R.com, Run The Trap, Trap City, Stylss and Sleeveless Records, while garnering live support from the likes of headlining DJs such as Gaslamp Killer, DJ Craze, G Jones, BUKU and N-Type, just to name a few. The newest addition to Conrank’s lengthy resume is his forthcoming EP Friday Poltergeist, a three-track collection set to release on October 31 through Stylust Beats’ Sleeveless Records imprint. Featured on Friday Poltergeist is “Shown,” an energetic, spacious, yet multifaceted adventure through the highly unique and versatile personality of the experimental bass music sound.